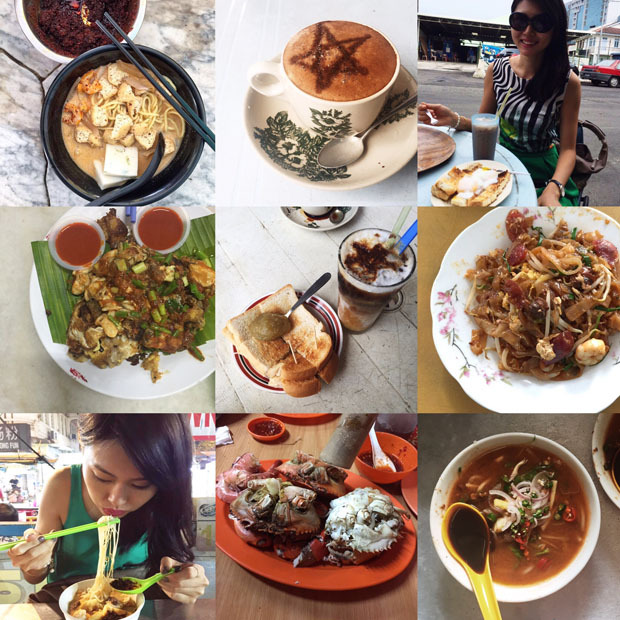 I’ve recently returned from a trip to Penang, an island famous for it’s delicious food like char koay teow, asam laksa and cendol. It’s a ‘makan trip’ to savour the best food Penang has to offer. So I shoved aside my knowledge in nutrition, and instead place my focus on the taste of food and joy of dining out. To say that I overate seems to be an understatement. Almost immediately after that, I went to Singapore and spend a short weekend with my health-conscious aunt. The stays only showed how bad my diet at Penang was. My lovely aunt made freshly baked bread for breakfast, mixed vegetables without a drop of oil and homemade Chiang Mai laksa flavoured with kaffir lime leaves from her garden. Every meal is always accompanied by a lot of vegetables. 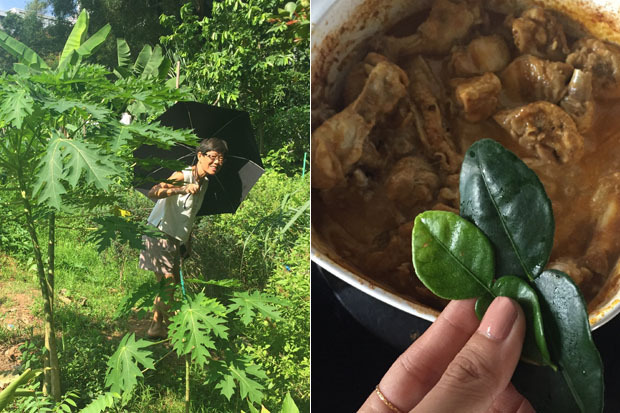 Clock-wise: My aunt’s edible garden, kaffir lime leaf to flavour curry chicken and a balanced dinner. Even when we eat out, the meal she chose is nutritious. She took us to a Japanese and Korean restaurant and ordered fatty fish like saba (mackerel). 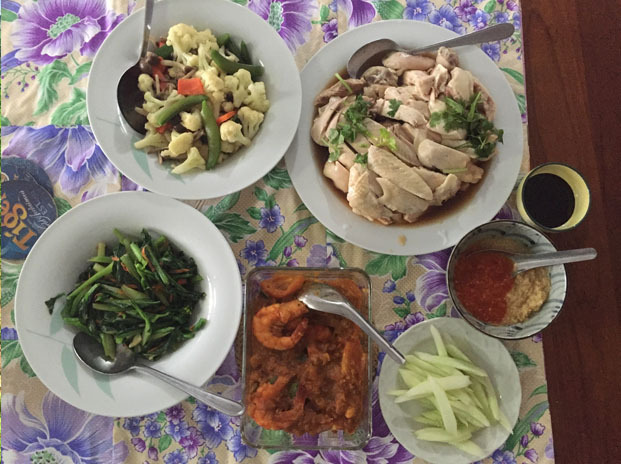 In Penang, food was fried, contain a lot of carbs and very little vegetables. What are the benefits of omega-3 fatty acid? Fish oil contains highly unsaturated omega-3 fatty acids. They are good for the brain and the retina. Eating a lot of them help limit inflammatory response, and in this way lower the risk of heart disease and cancer. It also lower risk of stroke. Almost all kind of chemical produced in the planet ends up in our rivers and ocean. Why? Rain washed chemical pollution in the air into the grounds, and from the ground into our waters. These chemicals can be accumulated by fish and shell fish. What kind of chemical and what do they do? What kind of fish is dangerous? 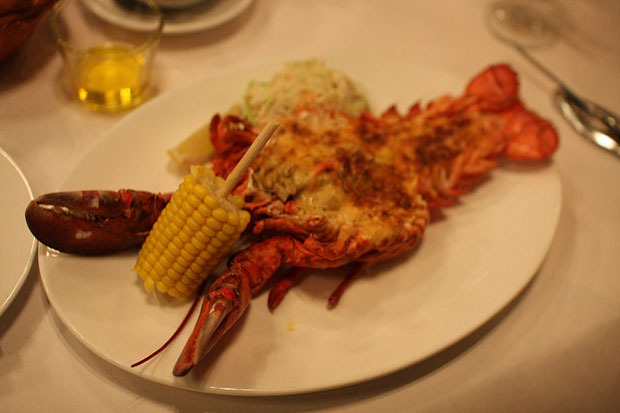 Lobster and some species of tuna seems to be high in mercury too. 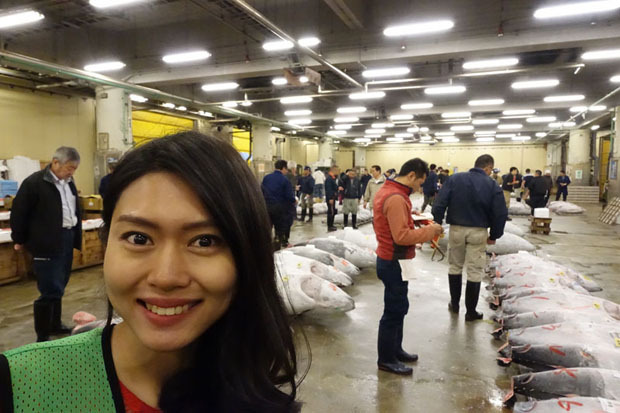 Huge tuna in Tsukiji Fish Market. Large predatory fishes at the top of the food chain is likely to accumulate more toxic. What kind of fish shall we eat? Read more at the FDA website. 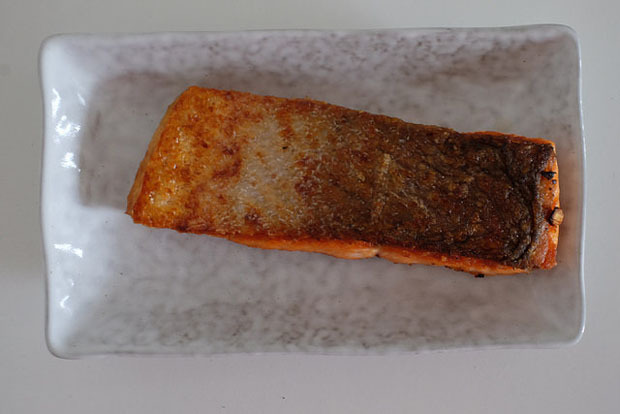 My plan is to eat fish which are high in omega-3 fatty acids and low in heavy metals. That would mean I’ll choose fatty ocean fish (instead of freshwater fish which provides very little omega-3 acid). Nutritional-wise, it doesn’t matter if the fish are from the ocean or farmed; farmed fish has similar level of omega-3 fatty acid. Besides, I want to avoid those which are overfished in our ocean (Read: 5 Common Seafood To Avoid). Looks like the best candidate for now would be salmon and mackerel.